Since 2007, Samuel Gratacap has used photography to document the lives of refugees and migrants crossing the Mediterranean. Rather than adhering to the narratives of collective shock and tragedy so often visually depicted in mass media coverage, Gratacap’s work quietly shifts the gaze back towards the individual, instead choosing to focus on the extensive periods of time that refugees spend imprisoned, trapped and waiting during their journey. 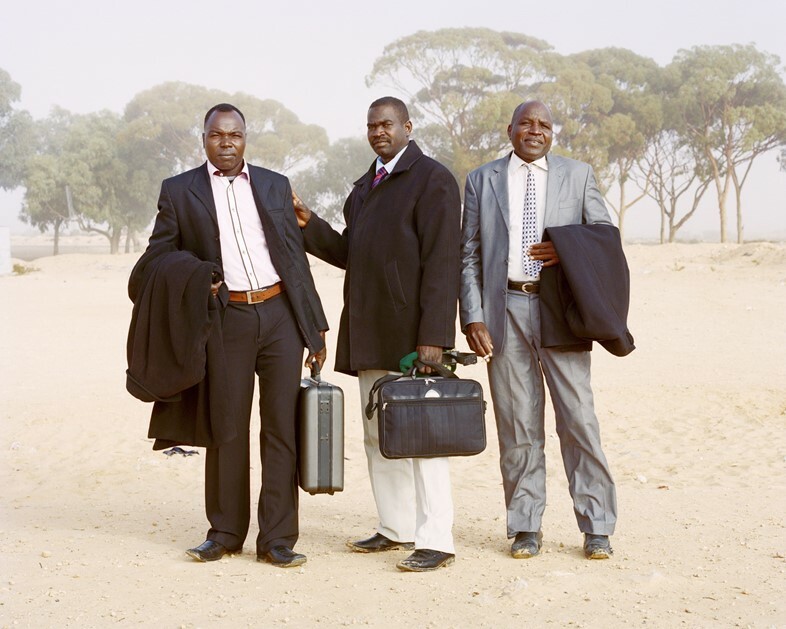 Empire, the latest project from the French photographer, sees him building on previous works La Chance and Castaways in exploring the confinement of refugee camps. Gratacamp spent two years at Tunisia’s Choucha transit camp, which – at its peak – received over 200,000 migrants fleeing war and conflict in their home countries. Via a Danish NGO, Gratacap taught a photography workshop for young refugees, embedded himself within Choucha and documenting the prolonged limbo of their respective detentions. As part of his inclusion on Foam’s 2016 Talent Call, images from Gratacap’s series will appear in a group exhibition featuring work from all of the 24 young photographers selected as winners. In conjunction with its launch at the Beaconsfield Gallery Vauxhall on May 18, we spoke to Gratacap about his time at the Choucha refugee camp – and why moving away from the ‘shock image’ helps shift the focus back to the plight of the individual. What first drew you to covering the theme of migration in your work? Samuel Gratacap: My first project as a photographer was about the Administrative Detention Centre for migrants in Marseille – I was still a student at the Higher School of Fine Arts in Marseille. My interest with those at the centre was less about their lives before, but more their lives after coming here. I wanted to learn how they were maintained, how long they stayed inside, what were their rights and the conditions of life, what they hoped for in the future. By all means, it was the most interesting place to work in the city. It was also on the top of geopolitical agenda. In 2007, when the minister of the interior was Nicolas Sarkozy– who was at full-throttle campaign to get the president chair – the administrative process was quite clear: arrest illegal migrants and send them back to their country of origin. They call it 15\15: 15 days of detention, 15 minutes of judgment. No matter who they were and what reasons they had, the juridical system needed no proofs – it only had to be effective. When I learned about this, before even thinking about the photography, I was shocked as a citizen of France. Since then, I never left the theme – only changed the location. Much of the photography concerning migration focuses on the dramatic extremes. However, your work is concerned with the in-between moments – particularly the idea of waiting. Why did you decide to focus on this? Samuel Gratacap: When I just started photographing the Choucha Camp I wasn't sure what I wanted to show. I had no clue about life inside the camp – how they got food, water, if they worked. I wanted to understand how a human can deal with such circumstances while waiting there. For example, there are images of people with covered faces that were taken during a sandstorm. The wind is never fading there. 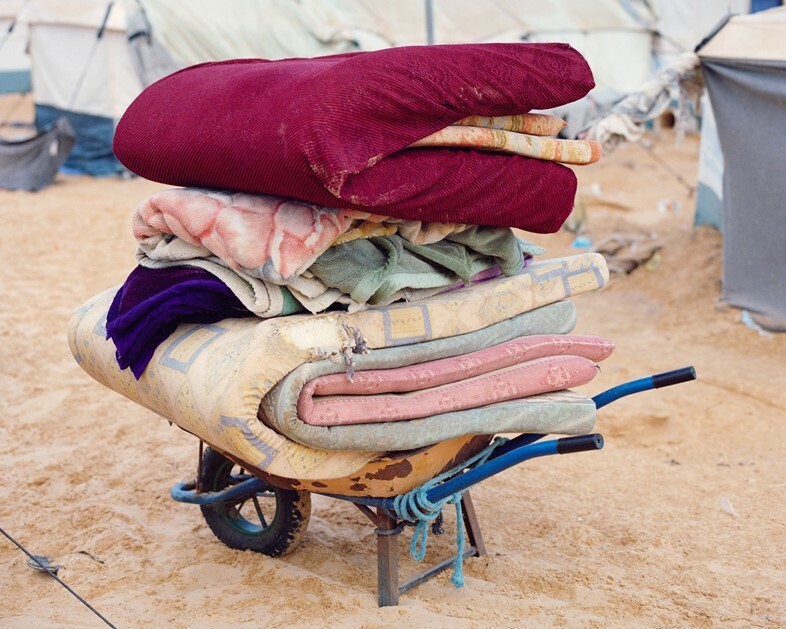 It damages the tents, carries the sand and it gets everywhere – in the food, inside the tents and the clothes. The closer it was to the moment, the harder it was for me to work because I needed a reason to stay there as a photographer. It's a military area, after all. Thanks to the photography workshop for teens I was taking for the Danish NGO, I was authorised to stay longer – and I could participate in the local social life. In the book co-edited with Le Bal and Filigranes, I decided to include testimonies of the refugees, as well as also writing about my experience in Choucha. Texts and testimonies reveal aspects that I couldn’t reveal efficiently through the photographs. How did the refugees at Choucha respond to your presence? Samuel Gratacap: I arrived in Choucha in 2012, a year after it opened. At first, people were quite open about speaking with the media – and I think they believed it could change something. But when I arrived and introduced myself as a photographer, some of the people were telling me: ‘Yeah, the others like you came a year ago and we are still here, stuck in the middle of the desert. What are you doing here? What are your politicians doing?’ That was just the first emotional reaction, the demonstration of what people are going through, and that was quite important to me. Do you feel that it’s important to show the mundane, personal moments in your photos in order to distance them as parts of a grand, generalised mass-media narrative? Samuel Gratacap: What alternative could I offer to the ‘shock’ image, which is dictated by the need to make the news and be effective? These were the questions which guided me in considering a work in which the individual would be the main subject again. It was about taking a reflective and informed look on migrants and migration, their causes and representations. I finished the project and I was working on the exhibition when the body of Alan Kurdi was found on the seashore in Turkey. Suddenly the destiny of the refugees got big attention in the media. And the dramatic events in Turkey touched even the exposition of the Empire Project (which took place at Le Bal in sept 2015). I got an opportunity to tell about their life in Choucha camp and that even after it was officially closed, many people stayed there as they had nowhere to go. UNHCR announced that a solution would be found with the Tunisian government and the rejected refugees would be resettled locally. But in the end, that never took place. Most of the refugees stayed in the camp, and in the following years, many returned to Libya or tried to get to the EU. Those who stayed became illegals. Was it difficult to try and tell these individual stories while coming from an outsider’s perspective? 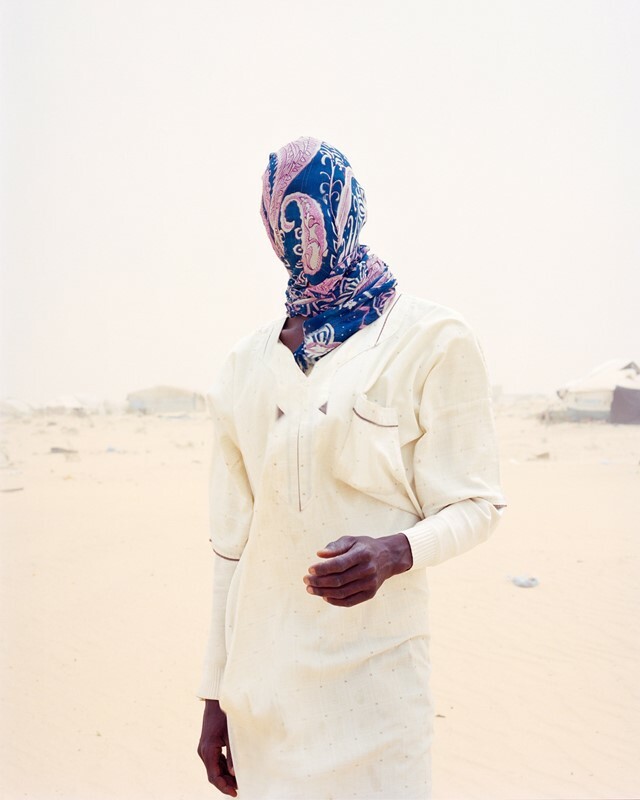 Samuel Gratacap: It was not easy at all, but I was coming there in order to be closer to a specific reality – the daily life in Choucha, where refugees had no others choice but to settle there to flee Libyan conflict in early 2011. I wanted to learn from my own experience and to change my own ideas about this so-called thematic subject. Feeling comfortable was not the idea. I made friendships in Choucha. The first thing I noticed was the fact that I choose to go there instead of the refugees who were not allowed to move away, waiting the moment to be settled anywhere than this hostile place. I had the privilege to go back and forth from Tunisia to France, not them.